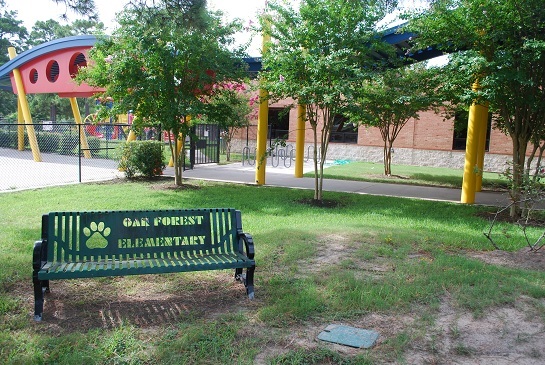 Located just outside of the loop, top-rated school Oak Forest Elementary is a huge draw-in for the Oak Forest/Garden Oaks area. The education of our youngest generation is the future of our community, and Oak Forest Elementary delivers through their comprehensive and challenging education for young students. With its stellar Vanguard Magnet program that provides an exceptional educational experience for gifted and talented students, it’s no wonder students are more than prepared for the next step in their education. Teachers are state-certified to teach students who are functioning and learning well above their age and grade level, offering a curriculum that stresses problem solving, creativity and originality. According to School Digger, 2014 was great year for Oak Forest Elementary as they ranked 5th out of 165 ranked elementary schools in their Houston Independent School District, giving it better ranking than more than 96% of schools in Texas. This year their amazing students were able to pull off a math average of 93.5 and a reading average of 95, improving their already excellent STAAR tests scores from the previous two years, and performing significantly higher than minimum district and state proficient scores. Oak Forest Elementary follows core values that lie within the word EMPOWER. Effort, Motivation, Perseverance, Ownership, Wisdom, Empathy and Respect are all coming together at this school, with high test scores, enrollment, awards and recognition speaking for this school’s success. Each child is taught based on these principles to strive for the best performance in their school work while learning to develop social skills and understanding the world around them. Parents who reviewed the school on GreatSchools.org are raving about the nurturing, supportive community that is teaching their children to be “valuable, contributing” members of society full of compassion. If you’re moving into the Oak Forest neighborhood, you are gaining a tremendous educational asset in being able to send your children to Oak Forest Elementary. They will receive a quality education from a passionate learning community that will encourage not only their educational growth but, personal growth to help shape the future of society.